"This is the must-try, must-buy Red at this price point. When I focus on Napa Valley Cabs or Cab Blends that are under $60/bottle, it means they are over-delivering at their price point. Like the 2014 vintage, this is one of those Reds. “The 2015 HG III follows the characteristics of the vintage with its rich opulence. Approachable at the pull of the cork, explosive aromas of black cherry, blackberries and Hoisin mingle with elevated notes of roasted hazelnut and cedar for a seductive perfume. The sensation of blackberry jam, ripe plum and cola nut carry forward on the palate with a mouth coating depth and trailing finish. Merlot, Cabernet Sauvignon and a cadre of Italian Mixed Blacks represent the “III” of HG III: Merlot for a sleek and supple mid-palate, Cabernet for core structure and extended finish, and a secret sauce from the Mixed Blacks for depth and layering. An unmistakable hint of dark chocolate yields a richness that complements the pure black fruit character, while the mouthfeel is decidedly lush. 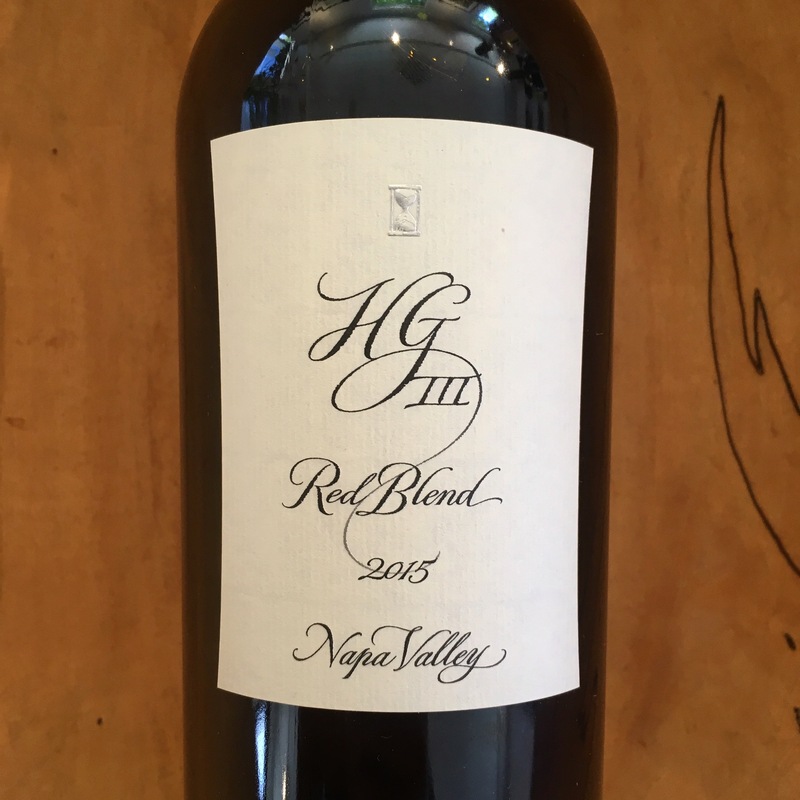 The blend finishes strong with expansive, lingering notes."